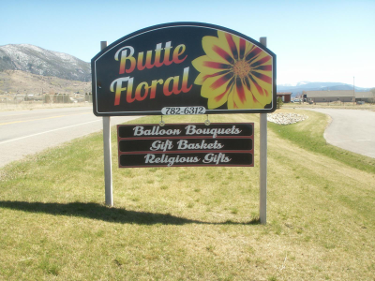 Butte Floral, Your first and best choice for all your floral and gift giving needs in beautiful Butte America! Welcome April! A magical time as Mother Earth awakens from her winter slumber and begins to come alive once again. Butte Floral and Gifts, locally owned and operated by Jennifer and Tom Hardesty, has proudly served beautiful Butte America since 1899! We are family-owned and operated and are committed to offering only the freshest floral arrangements, beautiful plants and the finest gifts. We treat all our customers with friendly, prompt service and take special care with each and every order. Our professional staff is dedicated to making your experience a satisfying one. Let Butte Floral and Gifts be your first and preferred choice!